A young woman with strong Christian values not only survives but thrives in the years leading up to and during the Civil War in this new collection released by Dog Ear Publishing. Life brings change many times for Alice Mavery, an Irish orphan found tied to a riverbank in rural Ohio when she was just a young girl. This new historical novel shares Alice’s story as she comes of age in the Civil War and must cope with politics and society during a time when life was a struggle for many Americans. 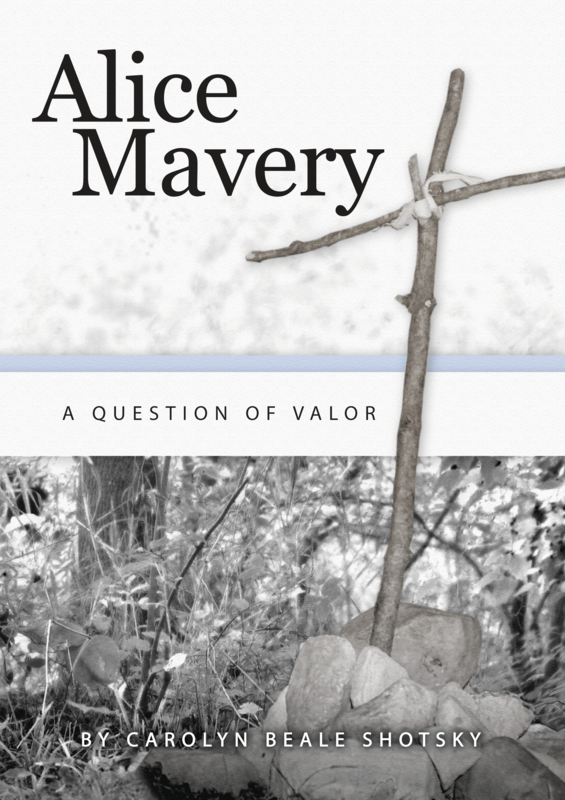 “Alice Mavery: A Question of Honor,” which begins in Pike County, Ohio, starts when a drifter of sorts and his dog find a young girl by herself on a riverbank. He brings the little girl to a German widow and fervent Christian who lives on a farm, and the loving woman raises her as her own. When her guardian dies before the Civil War begins, Alice is ripped from the tightknit community she once knew by an uncaring young man. She moves to a town later attacked by Confederate General John Hunt Morgan and his men and begins caring for the wounded, starting with an arrogant young lieutenant named Jon – an act that will forever change her life. Alice moves once again, this time to Kentucky, where she is taken in by Jon’s grandparents, a devoted couple who live on a farm. Divided not just by politics but by faith, Alice and Jon soon find themselves in the midst of a personal war, with both determined to stand by their cause. Will Jon have the courage to take a leap of faith or will he ride off to war again without the power of prayer? Set against the backdrop of the Civil War, this story of love and honor reverberates with authentic descriptions of life in the mid 19th century and the men and women who helped form a nation. Author Carolyn Beale Shotsky and her husband, Bill, live in south central Ohio and have five children. For additional information, please visit www.ForGodandCountryBook.com. 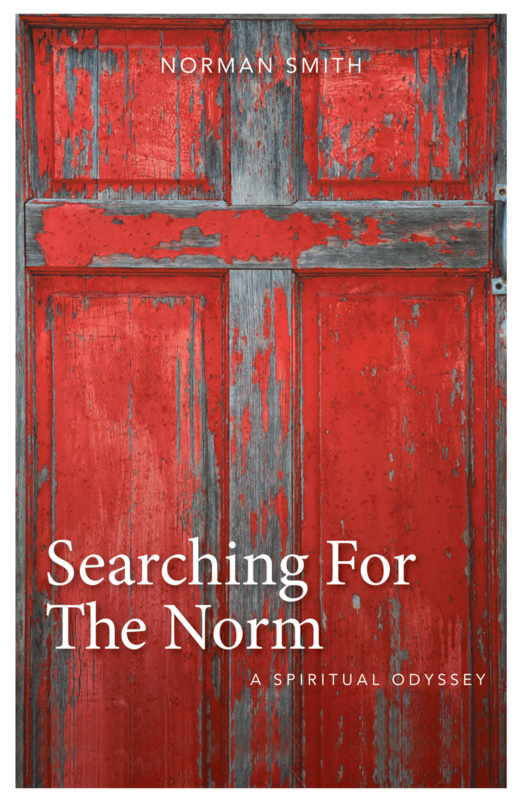 Dog Ear Publishing releases “Searching for the Norm: A Spiritual Odyssey” by Norman Smith. A retired teacher and former pastor shares his journey of faith in this new book released by Dog Ear Publishing. Growing up as the son of hard-working, dirt-poor Okie migrant workers in the era of the Depression, the Dust Bowl and World War II left its mark on author Norman Smith, as did settling into Modesto with his family and being introduced to fundamentalism. In this new book, Smith narrates his pilgrimage searching for the normative live of a Christian and detailing the reasons for the paths he took along the way. “Searching for the Norm: A Spiritual Odyssey” shares details about Smith’s parents. His mother’s mother was a full-blooded Cherokee or Choctaw Indian, and his father spent time with a Cherokee family while healing from a broken hip. They met after they became Christians through the Holiness movement. Smith pulls no punches in describing the hardship of his early days, when the family barely survived, and moving out at age 17, but he shares with equal detail happier times living in Modesto and the joy of a public library. As his professional and personal lives settle down, Smith has time to ponder bigger questions in life, like his faith. As he points out, following Jesus “is a deceptively easy-sounding command, until we eventually realize he was going to the cross. He bids us do the same. How we do so is a treatise all in itself.” Smith learns to see Christianity and God’s love in daily life, both in the classroom and working with carpenters. When Smith retires, he gains an unexpected chance to serves as interim senior pastor of his church, Bethel Christian Church, and later as its pastor. Those years of service bring new insights into his ever-expanding experiences with fellow Christians. Smith’s opportunity for ministry doesn’t end when he leaves Bethel, and ultimately he discovers a faith that aligns with his deeply ingrained Protestant roots and his new understanding of Christianity. Author Norman Smith is a confessed reader, enjoying just about anything. He worked as a union carpenter, was a high school teacher (mainly American and English literature) for more than 30 years and became a full-time minister. He and his wife, Ruth, enjoy traveling. For additional information, please visit normsmithbooks.com. 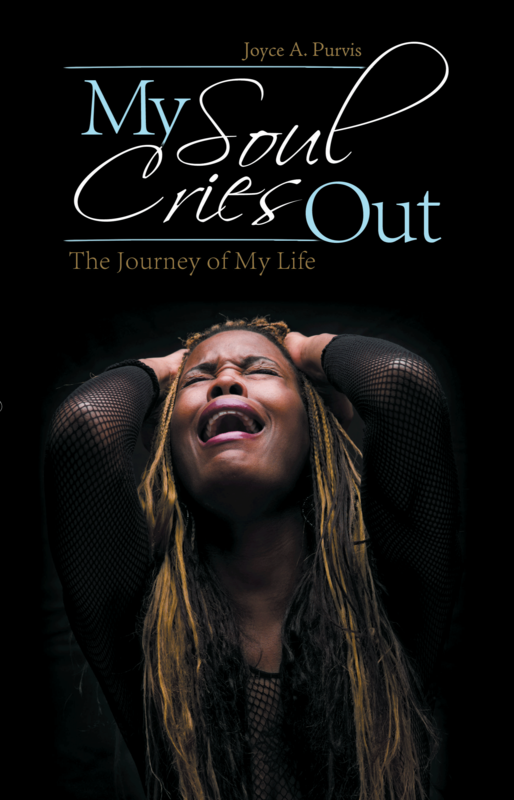 Dog Ear Publishing releases “My Soul Cries Out: The Journey of My Life” by Joyce Purvis. A retired government employee shares the ups – but mostly downs – of her eventful life in this new book released by Dog Ear Publishing. Simply writing this account allows her to find closure from and accept her authentic self. Growing up in a low-income home in Norfolk, Va., during the era of segregation – and the child of alcoholic, abusive parents — left scars on author Joyce Purvis that remain to this day. Other problems began when she started working for the Department of Defense because it was uncommon for a black female to have top secret clearance at a prominent government post. This new book details the discrimination, racism and social stigmas she faced and her refusal to give up hope, keeping faith in God even as she struggled with mental illness, alcoholism, her sexuality and a developmental disorder. “My Soul Cries Out: The Journey of My Life” shares the story of a girl whose family and neighbors were so poor they gave hand-grown vegetables instead of candy on Halloween, and they were happy to have it. Instead of supporting his family of five, her father spent money on new cars, expensive clothes and women, and he beat his wife until she bled. His wife also had affairs, and the resulting emotional turmoil affected Purvis in physical ways. Being molested by a white stranger at age 6 was just one indignity that affected her self-esteem. Discrimination continued first in her job as clerk typist at the Norfolk Naval Shipyard and then as a mail and file clerk at Atlantic Fleet Intelligence Center. An unfairly denied promotion spurs alcoholic lunches and increased drinking but finally prompts Purvis to seek counseling and be diagnosed with manic depression. Her hard work and college courses pay off in the Naval Reserves, performing overseas active duty training in London, Naples and St. Croix the Virgin Islands, as well as North Atlantic Treaty Organization exercises. Family issues, however, continue as Purvis continually ends up caring for other family members, taking them into her home despite their failings. Trouble follows Purvis after retirement, and she learns her drinking has caused chronic pancreatitis. A series of financial disasters leads her to the brink of suicide. Living life as a closeted lesbian – fearing she will lose her government job – adds to Purvis’ stress and low self-esteem. A diagnosis at age 59 of Asperger’s Syndrome brings an odd sense of comfort, helping explain some of her behavior and relationships with colleagues and family. Author Joyce Purvis, who worked for the Department of Defense as a civil servant for 25 years before retiring in 1996, served as a weekend drilling Naval Reservist for more than 20 years. After retiring, Purvis volunteered to go on active duty and received a presidential recall to work on a special project for the defense department. During that time, she earned a degree in computer information systems from Tidewater Community College and went on to major in criminology at St. Leo University. This book had its roots in an autobiography class and journals Purvis kept. For additional information, please visit www.joyceapurvis.com. Dog Ear Publishing releases “The Quaran Speaks” by Bahis Sedq. The Quran is the most widely read book in the world, but also amongst the least understood. One reason for this disconnect is that the Quran is not arranged chronologically (for instance, the first verses to be revealed are placed in Chapter 96), or by subject (different themes intermingle in the same chapter, while often enough discussion on the same subject gets distributed among different chapters). All this makes it a challenge for the uninitiated reader to follow the flow. He must therefore rely on Muslim scholars to interpret the Quran for him, who are not always forthright about the Quran’s message, and on occasion withhold verses that do not support their views. The result is that Muslim audiences frequently remain uninformed on many critical aspects of the Quran. This has allowed myths to develop regarding the Quran, and also about Muhammad, which have little basis in the Quranic text—for instance, that the Quran is a scientific miracle (when the Quran does not make any such claim), and that Muhammad had miracle powers (whereas the Quran repeatedly refutes the suggestion). The Quran Speaks is a long overdue analysis of the Quran that seeks to address some of the common myths about Muhammad and about Islam itself. Written pseudonymously by someone who grew up in the Muslim faith, the author, despite not being an academic scholar, brings an analytical and yet different perspective to understanding the Quran today. The book is an attempt to let the Quran speak directly on issues which are of immense interest to Muslims and non-Muslims alike but have been confounded by Muslim scholars, whether deliberately or not. The hope is that a coherent analysis based fundamentally on the Quranic word itself, will shatter many of the myths associated with the Quran. Since the analysis relies fundamentally on the Quranic text itself, it is important to identify reliable translations. 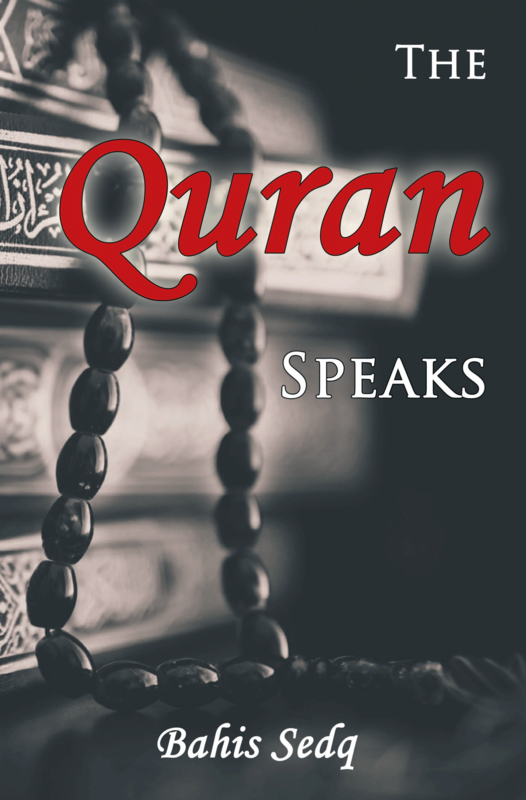 The book chooses not one but four highly recognized English translations of the Quran. These are carefully selected too, to represent the entire spectrum from the conservative to the more liberal interpretations of the Quran, and thereby to make the point that when all translators agree (which is the case with an overwhelming majority of verses discussed in the book), one can be confident of capturing the true message of the Quran. On the odd occasion when the translators tend to disagree, the book discusses the disagreement as well. The question underlying the discussion is: Is the Quran the word of Allah? The book does not answer it squarely, but lets the Quran speak on issues of significant importance. Apart from analyzing a particular Quranic challenge (i.e. were it not from Allah there would be many contradictions in it), and the claim that the Quran is nothing but a scientific miracle, the book also reconstructs Muhammad based entirely on Quranic disclosures. What emerges is a picture quite different from what is generally believed. Relying again on the Quranic text, the book also discusses subjects such as religious tolerance, the role of women in an Islamic society, the Quran’s concept of justice, Muhammad’s treatment of minorities, and even the debated incident of the “Satanic Verses”. It thus enables the reader to form an informed response to the above question. For additional information, please visit www.thequranspeaks.net. Self-made Man Shares Secrets to Success; Donald L. Dowridge Jr. Releases New Book. Author Donald L. Dowridge Jr. began life with the cards stacked against him but eventually figured out how to turn his failures into successes. The successful businessman shares what he’s learned in this new book released by Dog Ear Publishing. The power of positive thinking can get someone moving in the right direction. That’s the basic premise of this new book that offers 11 Steps to Success, to guiding people who want to be winners. As a graduate of the School of Hard Knocks, Donald L. Dowridge Jr. knows firsthand the lows of life. He was incarcerated at age 13 and became hooked on drugs and alcohol which led to several dangerous detours. “By trying my best to cheat I found myself traveling at the speed of light to nowhere,” he writes. After hitting rock bottom, he made a decision with God’s help that would change his life. In “The Power of Being a W-I-N-N-E-R,” Dowridge describes how he went from deciding to be the best person he could be to achieving actual success through hard work and Christian faith. He details his “Eleven Steps of Excellence:” Faith, Motivation, Self-Esteem, Self-Belief, Education, Endurance, Initiative, Networking, Open-minded, Optimistic and Goal. Each step plays a role in determining future success. Dowridge has lived these steps. For instance, he makes no secret of the fact that he knows a lot about “endurance,” having been abused sexually, mentally, physically and verbally when young. Part motivational techniques and part memoir, this unique book becomes a valuable resource for those who want to show the world that no matter what their beginnings, they can be a winner too. Author Donald L. Dowridge Jr., born in Baltimore, survived five violent fosters home until at age 12 he was transported to the South Bronx, where he endured six more abusive years with his biological father and stepmother. A move to Tampa in 1974 changed his life for the better. Dowridge though he quit Hillsborough Senior High School, would eventually get his High School Diploma by attending Adult School at night. Furthering opportunities to serve in the U.S. Army and later be employed by the U.S. Postal Service. He started his own company, DLD Enterprises, a consulting firm that offers training, coaching, organizational development and youth mentoring. 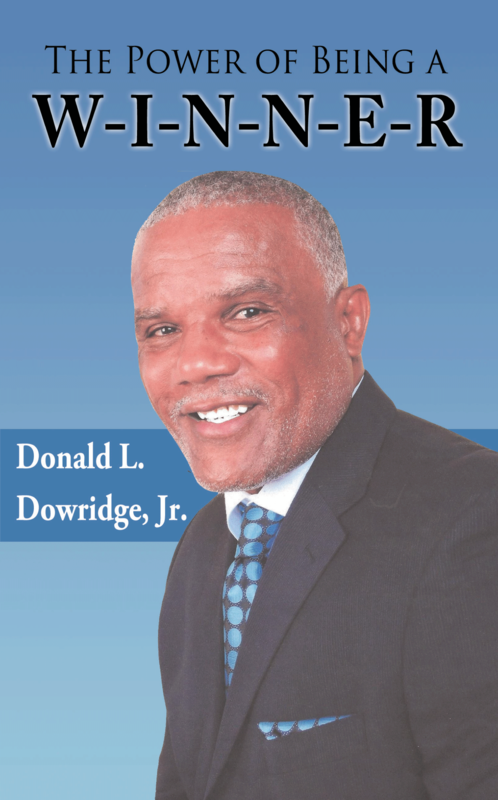 Dowridge also co-hosted a gospel-based local cable TV show, hosted numerous radio shows, as well as writing volumes of poetry and motivational stories for newsmagazines throughout. For additional information, please visit dldauthor.com. 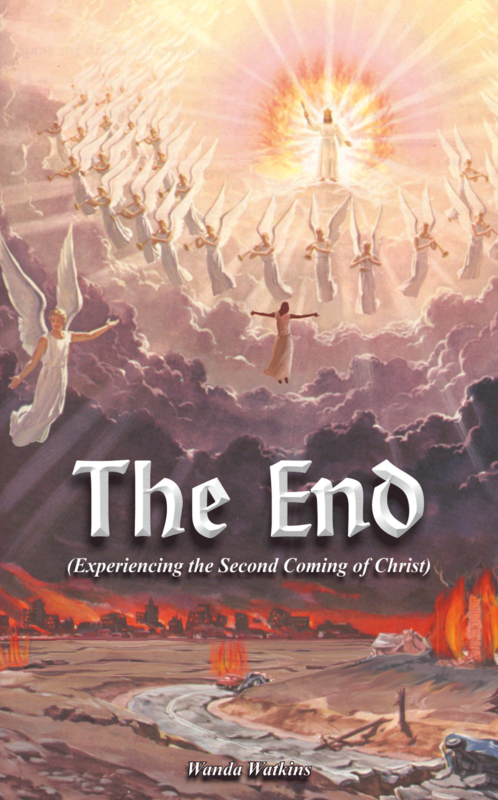 Dog Ear Publishing releases “The End (Experiencing the Second Coming of Christ)” by Wanda Watkins. A Christian reveals biblical truths about Jesus Christ’s second coming in this new book released by Dog Ear Publishing. Since the Resurrection of Christ, Christians have been waiting for His return. This new book provides an inspirational look at the second coming of the Savior based on the Holy Bible. Wanda Watkins’ visionary account includes the challenges and trials she herself has faced in her life and reflective thoughts as to how those trials pale in comparison to her ascension into Heaven. Watkins describes Resurrection Day as awakening to a powerfully splendid energy, ineffable light, and heightened awareness that flood her new, immortal body with superb strength. As she begins to ascend, she looks up to behold Jesus Christ coming in the clouds, standing in mid-air, and shrouded in fire; He is accompanied by His host of angels. She lovingly details this awe-inspiring experience and intersperses it with supportive Bible verses that reaffirm Christ’s second coming for His Bride. This Scripture-filled book includes study questions that are designed to extend the reader’s biblical knowledge, while continuing to inspire faith and obedience to God. Author Wanda Watkins has degrees from Stephen F. Austin State University, Texas A&M Commerce and the University of Texas Arlington. The retired educator is a dedicated member of the Church of Christ. For additional information, please visit www.wandawatkinstheend.com. 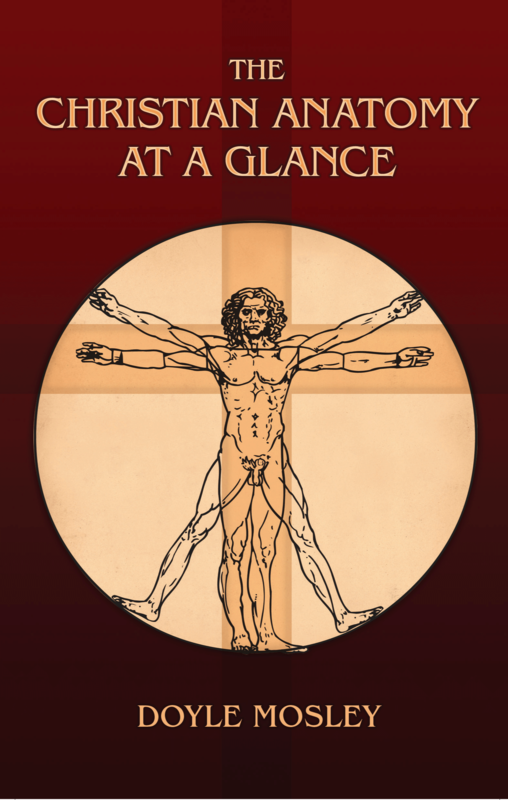 Dog Ear Publishing releases “The Christian Anatomy at a Glance” by Doyle Mosley. A series of events lead to changes in faith for two families in this new book released by Dog Ear Publishing. Author Doyle Mosley uses the novel to highlight the importance of love for all as Christianity’s greatest message. When the unexpected death of a patient during routine surgery shakes a medical resident’s faith, it sets in motion eye-opening experiences that lead to different views and changed perceptions of Christ’s church for two families. This new novel, which has unity as its theme, sheds light on sins of misuse and abuse that have fragmented Christianity; in other words, a lack of love. In focusing on a faith based on exclusion rather than inclusion, the characters fail to live Christ’s message of unity in God’s family. In “The Christian Anatomy at a Glance,” resident Daniel Stephens visits the bereaved husband’s home and comes away with a realization that faith can unlock the door to God’s grace. He and Justin begin to talk and eventually their two families meet, hitting it off immediately. A decade later – and after experiencing more health trials – the families remain friendly. Attending a Promise Keepers conference with thousands of other men, including Justin, Daniel feels God speaking directly to him. Retirement allows Daniel and his wife to travel and worship at different churches, revealing the flaws in church law. Author Doyle Mosley, a self-employed manufacturer of machined components for river- and ocean-going vessels, has traveled around the world performing on-site specialty machining projects in China, Africa, South Central and North America, Bahrain, Doha and Japan. Mosley studied ordinance with the U.S. Navy at Charleston Naval Shipyard. He’s been a Christian since boyhood, and he and his wife, Linda, have been married more than 52 years. They have four children and 10 grandchildren. For additional information, please visit www.ChristianAnatomy.com.